You are here: Home › Further Reading › JFK Assassination FAQs › Who Was George Joannides? He oversaw a group of anti–Castro Cubans with whom Lee Harvey Oswald came into contact in New Orleans three months before the assassination. In 1978, he was the CIA’s liaison with the House Select Committee on Assassinations. and the Assassination Records Review Board in 1994–98. At the time of writing, the CIA is still withholding documents relating to Joannides. In the early 1960s, the Directorio Revolucionario Estudiantil (Revolutionary Student Directorate, also known as the Cuban Student Directorate) was perhaps the largest and most active group within the anti–Castro Cuban exile community in the USA. The DRE’s members deplored President Kennedy’s Cuban policies, which they considered to be insufficiently aggressive. The group’s activities ranged from propaganda within the US to terrorist attacks on the Cuban mainland. The DRE, along with the headquarters of the CIA’s campaign against the Castro regime, was based around Miami, Florida. According to a CIA document from several years later, the DRE was “an anti–Castro organization conceived, created, and funded by the CIA” (NARA RIF no. 104–10170–10156). In 1963, the DRE was receiving $51,000 per month from the CIA. and he took part in a radio debate with Bringuier. During August 1963, the DRE was under the supervision of George Joannides, who had recently been appointed chief of psychological warfare operations at the CIA’s base in Florida. Lee Oswald had claimed to represent the Fair Play for Cuba Committee, an organisation which campaigned for a less aggressive US policy toward the Castro regime. The radio debate, during which Oswald admitted to having defected to the Soviet Union, served to identify the FPCC with the interests of the Cuban and Soviet states. It was Bringuier’s contention that Oswald, a covert pro–Castro supporter, was trying to infiltrate the DRE’s New Orleans cell. [Jose Antonio] Lanusa released the story, but only after first clearing it with his CIA control, George Joannides. The story ran in the Miami Herald under the eye–catching title “Oswald Tried to Spy on Anti–Castro Exile Group.” Bringuier’s tale of Oswald as a Castro stooge also made the Washington Post : “Castro Foe Details Infiltration Effort.” Both of these stories appeared the day after the assassination. The unappreciated irony in this whole business was that the first JFK assassination conspiracy theory to find its way into print was paid for by George E. Joannides, a CIA psychological warfare specialist. The branch of the organisation which Oswald had set up in New Orleans consisted only of himself and a fictitious entity, ‘A.J. Hidell’. Some of the FPCC leaflets which Oswald distributed in New Orleans were stamped with the address, 544 Camp Street, of a building which had no connection to any pro–Castro organisation but which did contain the offices of Guy Banister, a private investigator who was involved in anti–Castro activities. All of Oswald’s political associates in New Orleans were strongly anti–Castro. Several witnesses, including Guy Banister’s secretary, claimed to have seen Oswald and Banister together in public in New Orleans and elsewhere. When, with the assistance of the DRE, Oswald’s links with the Fair Play for Cuba Committee were publicised immediately after the assassination, the FPCC was obliged to disband. A contemporary FBI memo, which came to light more than a decade later, reported that “CIA is also giving some thought to planting deceptive information which might embarrass the [Fair Play for Cuba] Committee” (Schweiker–Hart Report, p.65). Immediately after his escapade in New Orleans, Oswald appears to have visited Silvia Odio, a Cuban émigrée and anti–Castro activist, in Dallas. Oswald turned up at Odio’s apartment in the company of two other anti–Castro activists. One of Oswald’s companions telephoned Silvia Odio afterwards and claimed that the man he knew as ‘León Oswald’ was also strongly opposed to the Castro regime. Oswald’s half–hearted defection to the Soviet Union occurred after he had apparently been taught Russian at a military language school. When Oswald decided to return to the US less than three years later, he was not prosecuted, despite having offered to give military secrets to the Soviet regime. When he applied for a new passport in the summer of 1963, the passport was granted the next day. One of the first tasks faced by the Warren Commission was to quash the rumour, widely held by journalists in Texas, that Oswald had been employed by the FBI or the CIA, or both. In the 1990s it became known that the counterintelligence branch of the CIA had been keeping a close eye on Lee Oswald before the JFK assassination. This, combined with the strong evidence that Oswald had been working undercover during his encounters with the Directorio Revolucionario Estudiantil in New Orleans, has led to the suggestion that the CIA may have had direct or indirect links with the alleged assassin. It is unlikely that George Joannides, working within a highly compartmentalised organisation like the CIA, was aware of what one member of the counter–intelligence branch described as its “keen interest in Oswald on a need–to–know basis”. On the other hand, the man who oversaw the DRE would almost certainly have been informed about Oswald’s confrontations with Carlos Bringuier of the DRE. The CIA’s representatives before the Warren Commission were John McCone, the Director, and Richard Helms, the Deputy Director of Plans. The Commission’s friendly questioning omitted any reference to Oswald in New Orleans. Neither McCone nor Helms mentioned to the Warren Commission that the DRE, which had been in close contact with Oswald in New Orleans, was funded by the CIA ( Warren Commission Hearings , vol.5, pp.120–8). McCone may not have been aware of any links between Oswald, the CIA and the DRE, and Helms was unlikely to volunteer any incriminating information to an outside body such as the Warren Commission; he had already closed down the agency’s internal investigation when it got too close to the matter of Lee Harvey Oswald’s impersonation in Mexico City. Despite having appointed George Joannides to supervise the DRE, Helms neglected to mention Joannides’s name to the Commission. 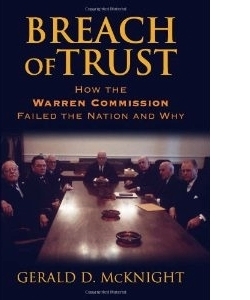 The Warren Commission was reliant on official bodies, in particular the FBI, to provide it with evidence, and showed little interest in probing into anything that might cast doubt on its pre–conceived conclusions. The House Select Committee on Assassinations, however, had its own teams of investigators. Those looking into the Cuban aspects of the assassination inevitably required information from the CIA about Oswald’s activities in New Orleans and Mexico City. The CIA responded to the creation of the HSCA by appointing someone to act as a liaison between the agency and the committee. It chose George Joannides, who had retired from the agency two years earlier. Joannides acted as an intermediary between the HSCA and the CIA, in effect filtering requests for information from the investigators. Among the information requested was the identity of the CIA officer or officers who had dealt with the DRE. The CIA claimed not to know the identity of the man whom it had appointed to deal with both the DRE and the HSCA. The Assassination Records Review Board came into existence in 1994 as a result of the President John F. Kennedy Records Collection Act of 1992, which itself was the product of a public lobbying campaign following the commercial success of Oliver Stone’s film, JFK . The ARRB’s purpose was not to investigate the JFK assassination, but to allow the public access to all the remaining official documents relating to the assassination. The ARRB helped to release four million or more previously classified pages, which included the CIA’s personnel file on George Joannides. The file contained no documents relating to the seventeen months during which Joannides oversaw the DRE. The CIA’s known bookkeeping methods required that the file should have contained many pertinent documents, such as receipts for the CIA’s $51,000 monthly subsidy to the DRE and progress reports on the DRE’s activities. An internal CIA investigation into Oswald in December 1963 was not told of Oswald’s apparently pro–Castro activities in New Orleans. When John Whitten, the officer in charge of the investigation, protested, he was removed from the investigation. The Warren Commission in 1964, Jim Garrison’s criminal investigation a few years later, and the Rockefeller Commission in 1975 were not told that the organisation which Lee Oswald had encountered in New Orleans was funded by the CIA. The House Select Committee on Assassinations in 1978 was likewise not told of the agency’s close links with the DRE. Nor was it told that the man acting as the liaison between the committee and the CIA had been closely involved in the activities of the DRE. The CIA told the Assassination Records Review Board between 1994 and 1998 that there was no link between the agency and the DRE. Even after Joannides’s name became known, his involvement was denied. The extant CIA personnel file on Joannides is glaringly incomplete. It contains none of the many written reports that would surely have been made about the DRE’s encounters with Oswald in New Orleans. But neither Mr. Hardway nor the committee’s staff director, G. Robert Blakey, had any idea that Mr. Joannides had played a role in the very anti–Castro activities from 1963 that the panel was scrutinizing. After Oliver Stone’s 1991 film JFK fed speculation about the Kennedy assassination, Congress created the Assassination Records Review Board to release documents. But because the board, too, was not told of Mr. Joannides’s 1963 work, it did not persue his records, said Judge Tunheim, the chairman. (Scott Shane, ‘CIA is Still Cagey About Oswald Mystery’, New York Times , 16 October 2009, p.A11). The secrecy may be due to a standard institutional protection mechanism: the CIA recognises that its arms–length contacts with President Kennedy’s accused assassin imply that it could have done more to prevent the assassination. Alternatively, there may be more sinister reasons for the CIA’s behaviour. Given the many aspects of Lee Oswald’s career that indicate his involvement with one or more intelligence organisations, the CIA knows or suspects that documentary evidence exists of a direct connection between the agency and Oswald. In 2006, a short filmed report on the BBC TV programme, Newsnight , alleged that George Joannides may have been one of three men, all CIA officers, who appear in a photograph taken at the Ambassador Hotel in Los Angeles on 5 June 1968, the night of Robert Kennedy’s assassination in the hotel kitchen. The other two officers, David Sanchez Morales and Gordon Campbell, both worked with George Joannides at the CIA base in Miami known as JM/WAVE. The accusation was far from conclusive: the identifications of George Joannides and David Sanchez Morales were tentative, and there is no evidence that Joannides had even been in Los Angeles in June 1968. Gordon Campbell certainly had not been there then, having died in 1962. For an account of the controversy, see Jefferson Morley and David Talbot, ‘The BBC’s Flawed RFK Story’ at maryferrell.org, which includes a link to a reply by the film–maker, Shane O’Sullivan. Incidentally, O’Sullivan has made a film about the JFK assassination, Killing Oswald . The implication behind the story is, of course, that the three men were involved in the planning of Robert Kennedy’s assassination. Morley and Talbot make the obvious point that if the three CIA officers had been involved, they would hardly have made themselves noticed by loitering near the scene of the crime, an argument that can also be used against those who claim that the Watergate conspirator, E. Howard Hunt, was one of the three tramps in Dealey Plaza. According to some reports, a longer version of O’Sullivan’s film suggests that the three men in the photograph may instead have been executives of the Bulova watch company, which was holding a convention in the hotel at the time. For a detailed account of George Joannides and the actions of the CIA in keeping his identity secret, see Morley’s ‘Revelation 19.63’, Miami New Times , 12 April 2001. 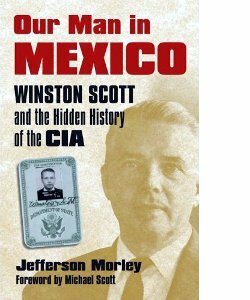 For the removal of John Whitten from the internal CIA investigation of Oswald in Mexico City, see Morley’s ‘The Good Spy,’ Washington Monthly , December 2003. 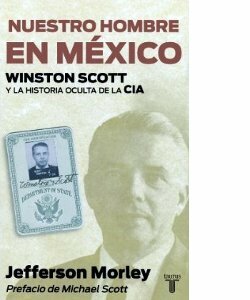 Morley wrote about the goings–on at the CIA’s Mexico City office in more detail in his book, Our Man in Mexico: Winston Scott and the Hidden History of the CIA , University Press of Kansas, 2008. The book is also available in Spanish. For the CIA’s knowledge of Oswald before the assassination, see Morley’s ‘What Jane Roman Said, part 3’ at history–matters.com. Jefferson Morley publishes regularly on the subject of George Joannides at his website, jfkfacts.org. He points out that the files about George Joannides are not the only JFK assassination files the CIA keeps secret. For a good overview of the topic, see The CIA and the JFK Assassination at maryferrell.org. 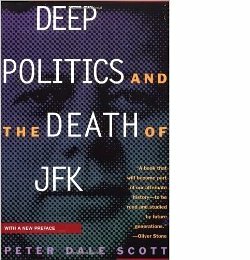 Peter Dale Scott, Deep Politics and the Death of JFK , University of California Press, 1993, covers several aspects of the story, including: the early attempts to blame the assassination on the Castro regime, in which the Directorio Revolucionario Estudiantil participated; Lee Oswald’s activities in New Orleans; and Carlos Bringuier’s opinion that Oswald may have been working on behalf of US intelligence. For the account by the House Select Committee on Assassinations of the DRE and its relations with US intelligence organisations, see HSCA Report , appendix vol.10, pp.85–88.